Address: La Graciosa, 5, Puerto del Carmen (Lanzarote), Islas Canarias. Located in the centre of Puerto del Carmen, Costa Volcán Apartments Lanzarote are just 200 metres from Playa Grande Beach. The complex offers free Wi-Fi, a spa area and outdoor swimming pool. Aparthotel Costa Volcán & Spa features brightly decorated accommodation with a private terrace. The kitchenette comes with a fridge, and tea and coffee making facilities. 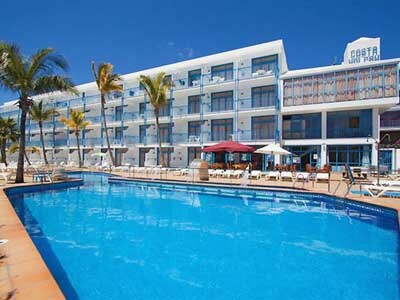 The attractive Costa Volcán complex includes a snack bar with a terrace and there are many restaurants in the nearby Puerto del Carmen resort. The spa area at Costa Volcán Apartments Puerto del Carmen offers a range of massage and beauty treatments. Lanzarote Airport is approximately 6 km away. Guests are required to show a photo identification and credit card upon check-in. Please note that all Special Requests are subject to availability and additional charges may apply. This property will not accommodate hen, stag or similar parties. Please note that once the guest has checked in and paid for the stay, a refund will not be given in the case of early check-out. Please note that cleaning takes place 5 days per week. Towels are changed 3 times per week and bed linen are changed 2 times per week.